Nev and Co to return in BBC Three’s The Call Centre. BBC Three has ordered a Christmas Special and a second, six-episode series of the hit work-place documentary series, The Call Centre. The series follows CEO Nev and his happy band of staff including Hayley, Twe and Dwayne who work at a Swansea based cold calling call centre called Save Britain Money. Attracting 3.5 million requests on BBC iPlayer the first episode was BBC Three’s second highest factual debut. The series is a BBC Factual Production. Executive producers are Head of Documentaries Aysha Rafaele and Jon Connerty. 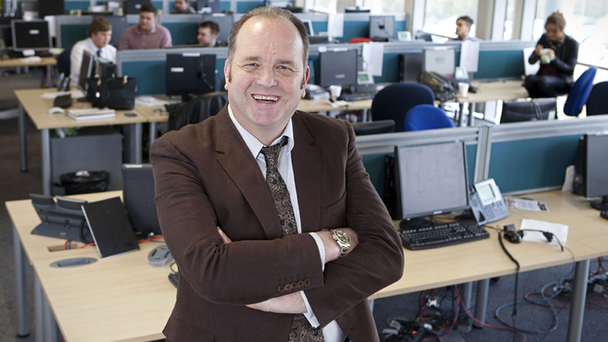 Filming of The Call Centre has already begun in Wales on the new series which will air on BBC Three early in 2014. ← Crazy About One Direction?